Not all that long ago I posted about Circa notebooks on Facebook, and restrained myself from posting about related obsessions, notably pens and inks. Author Michael Swanwick responded with a demand for something about those other elements of the addiction. And so here is a little bit more on the subject. This then is a little bit of the insanity of ink and pen obsession I attempted to stay away from the first time. Blame Michael Swanwick. I write with a fountain pen. Hemingway and Robert Ludlum wrote with pencils. A lot of pencils. 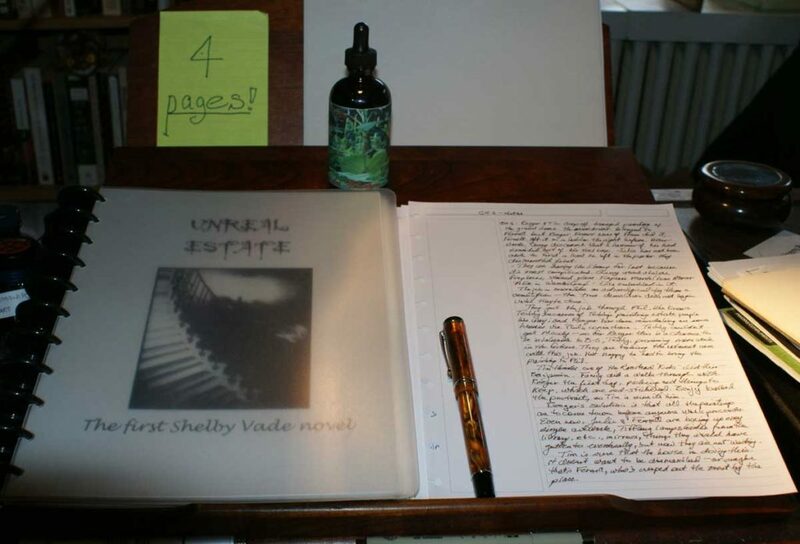 My longtime friend Joe Haldeman writes, likewise, with a pen and ink. In fact, at one time Joe and I were addicted to the Koh-i-noor Inkograph, a “fountain pen” version of a technical pen, the Rapidograph. (If that doesn’t date us, nothing will.) Once upon a time, on an IBM Selectric typewriter, I could type about 90 words a minute. Generally, this is more words than I can think in a minute (go ahead, try). So I tried a fountain pen because it forced me to slow way down and pay attention to the words. There is also an added tactility to this way of writing, and with fountain pens in particular, a ritual approach to it that is surely the equivalent of a Japanese tea ceremony. And writers, I have to tell you, can be very obsessive, and possessive, about their process. Tagged fountain pens, ink, Michael Swanwick, notebooks, writing, writing life.